LUXCO IS A PROUD MEMBER AND SUPPORTER OF INFLUENTIAL ORGANIZATIONS THAT HELP EDUCATE AND INFORM THE GENERAL PUBLIC ABOUT ALCOHOL CONSUMPTION RESPONSIBILITY. The President’s forum is a group of leading companies with common needs and interests in manufacturing, importing, and marketing distilled spirits products in the United States and around the world. The companies that make up the President’s Forum represent about fifty percent of all distilled spirit sales in the United States. The National Alcohol Beverage Control Association (NABCA) represents the Control State Systems – those jurisdictions that directly control the distribution and sale of beverage alcohol within their borders. Their mission is to support member jurisdictions in their efforts to protect public health and safety and ensure responsible and efficient systems for beverage alcohol distribution and sales. Luxco is an associate member of the Wine & Spirits Wholesalers of America (WSWA), which is the national trade organization representing the wholesale tier of the wine and spirits industry. It is dedicated to advancing the interests and independence of wholesale distributors and brokers of wine and spirits. Promotes responsible decision-making regarding beverage alcohol, while simultaneously fighting alcohol abuse, focusing on drunk driving and underage drinking problems. 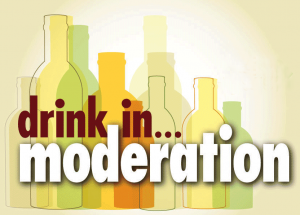 Resource to find information on alcohol and health including the U.S. Dietary Guidelines for Americans, standard drink definitions, tips for responsible entertaining as well as other resources and links to additional information on alcohol in the adult diet.